The Cottage at Boscobel enjoys an excellent location. It is less than 5 minutes away from the high street in Brockenhurst and the open Forest. The location near the top of a private road with no through traffic ensures very little noise from the outside world intrudes on the peace and quiet at The Cottage. 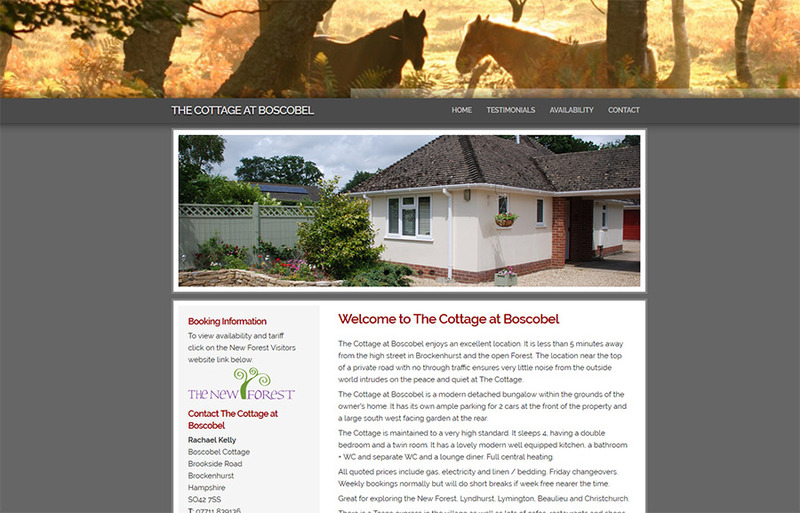 The Cottage at Boscobel is a modern detached bungalow within the grounds of the owner’s home. It has its own ample parking for 2 cars at the front of the property and a large south west facing garden at the rear. The Cottage is maintained to a very high standard. It sleeps 4, having a double bedroom and a twin room. It has a lovely modern well equipped kitchen, a bathroom + WC and separate WC and a lounge diner. Full central heating.